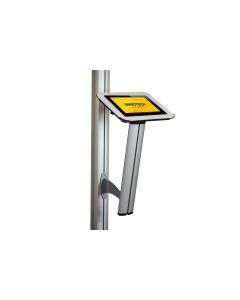 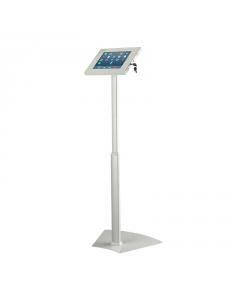 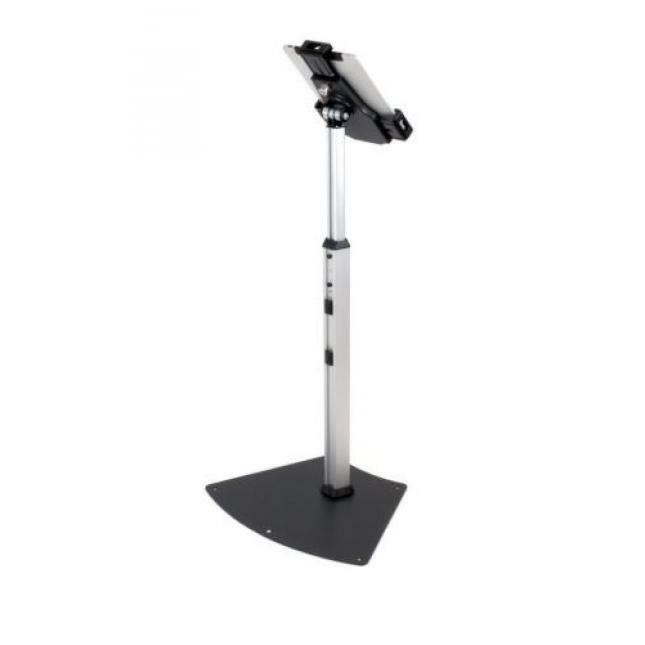 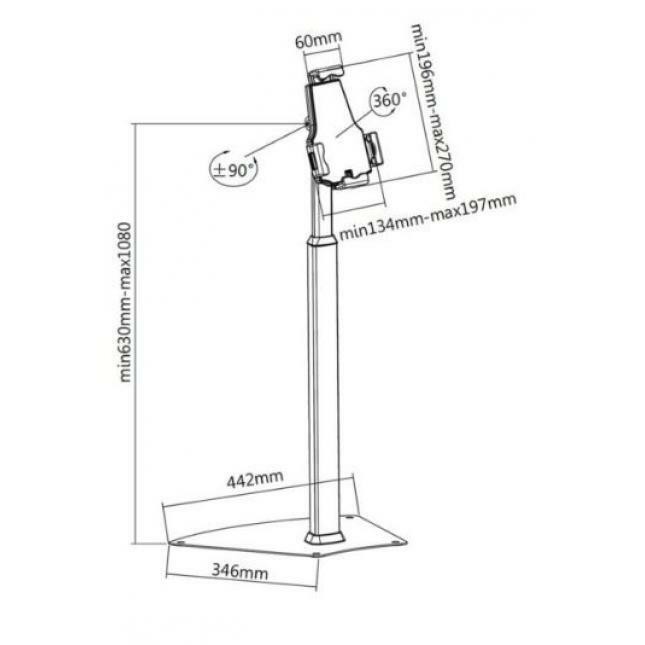 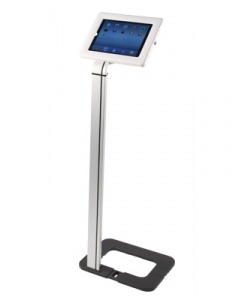 This versatile tablet stand has a telescopic most and an adjustable height range from 630mm to 1080mm. 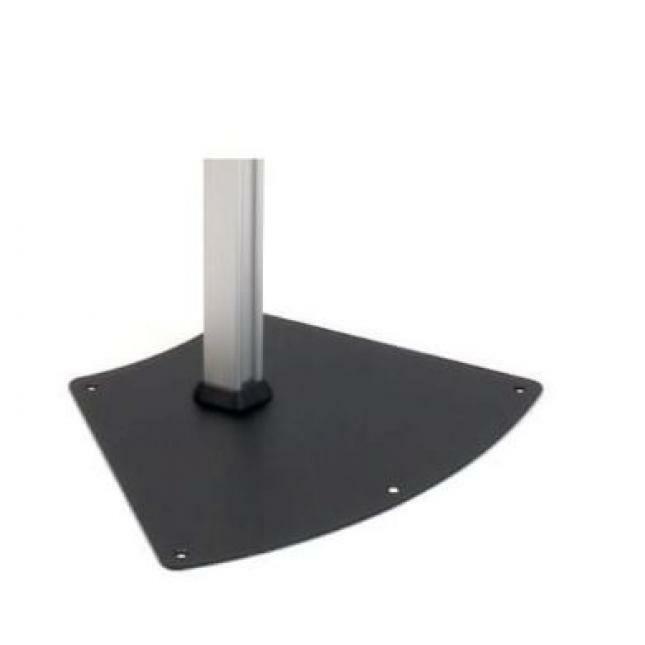 The black fan shaped steel base provides a sturdy and stable display. 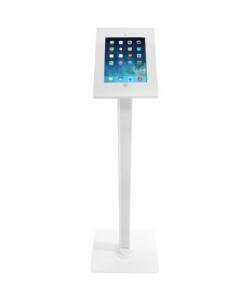 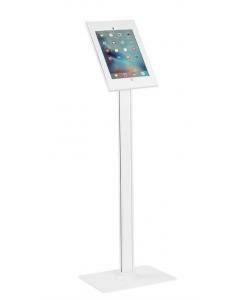 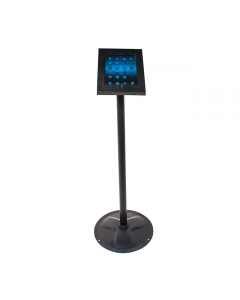 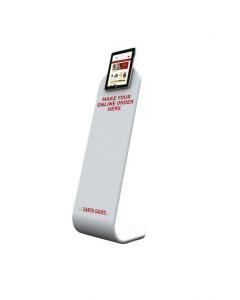 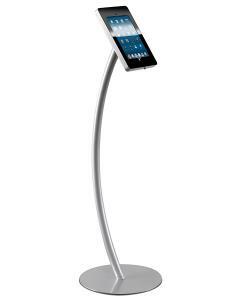 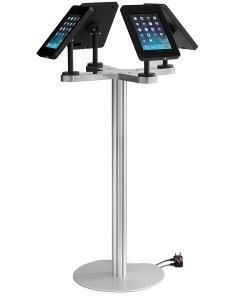 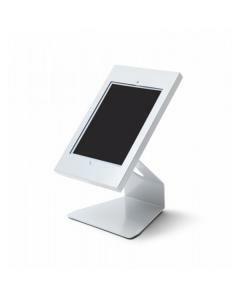 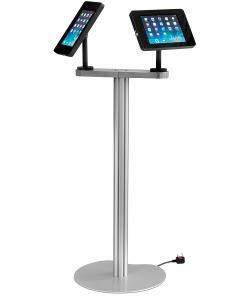 The tablet stand features a 360° rotation and tilt function for multiple viewing angles. 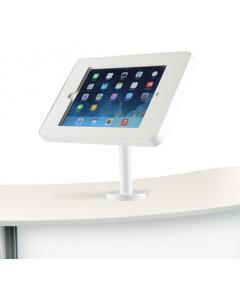 The tablet stand has an Invisible cable management system inside keeping the wires organised and the area tidy. 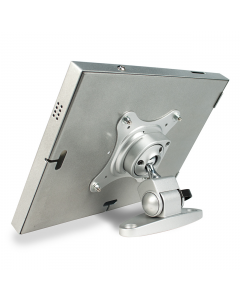 The mount is also lockable and the base has pre-drilled holes for the option of securing the tablet stand to the floor, making sure your tablet or iPad is secure and safe. 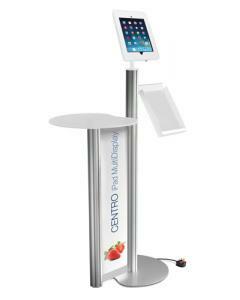 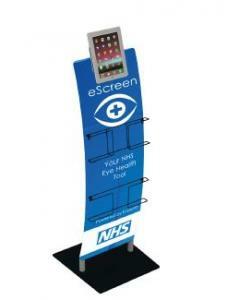 Ideal for use on exhibition stands and trade show displays. 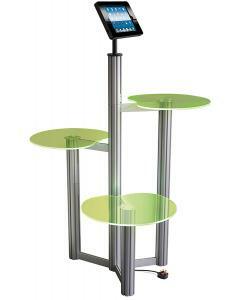 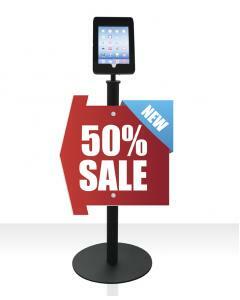 Popular in museums, libraries, leisure centre, hotels, restaurants and the retail industry. 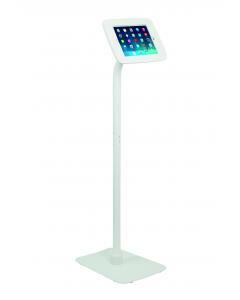 Suitability: Suitable for iPad, Galaxy and most 7.9"-10.1" tablets. 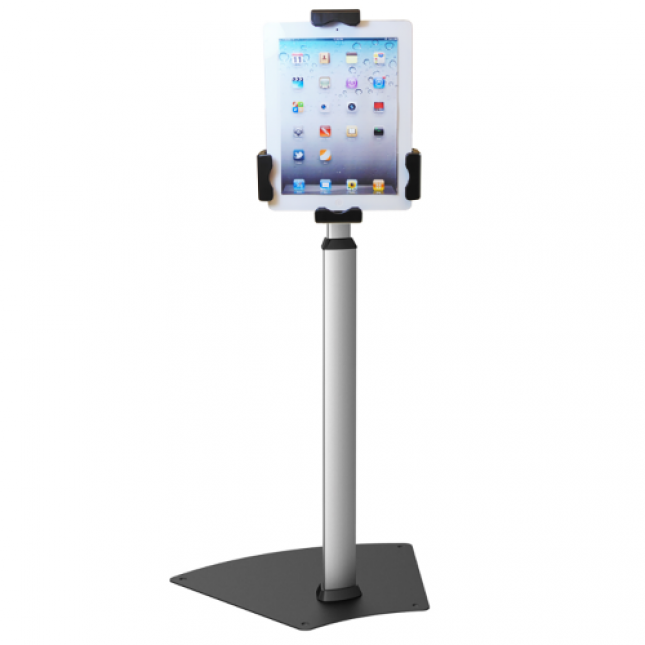 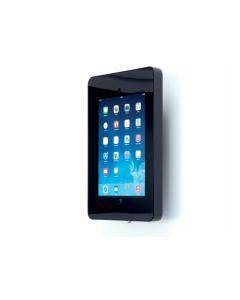 This mount will hold all Tablets / iPads that are between 134mm-197mm shortest side and 196mm-270mm longest side. 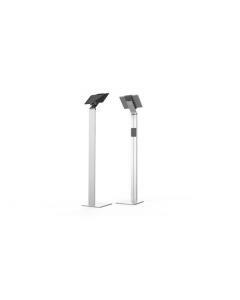 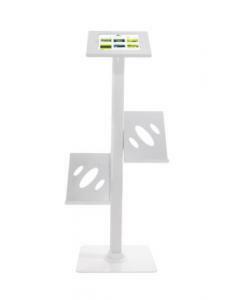 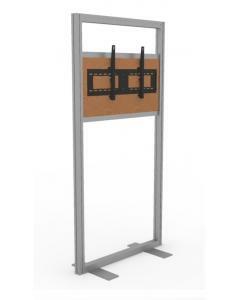 Security: Base is supplied with pre drilled holes allowing you to secure the stand to the floor if required. 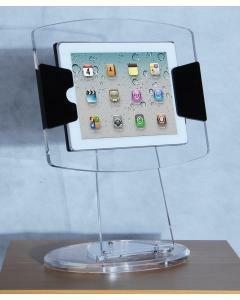 The tablet / iPad holder is also lockable. 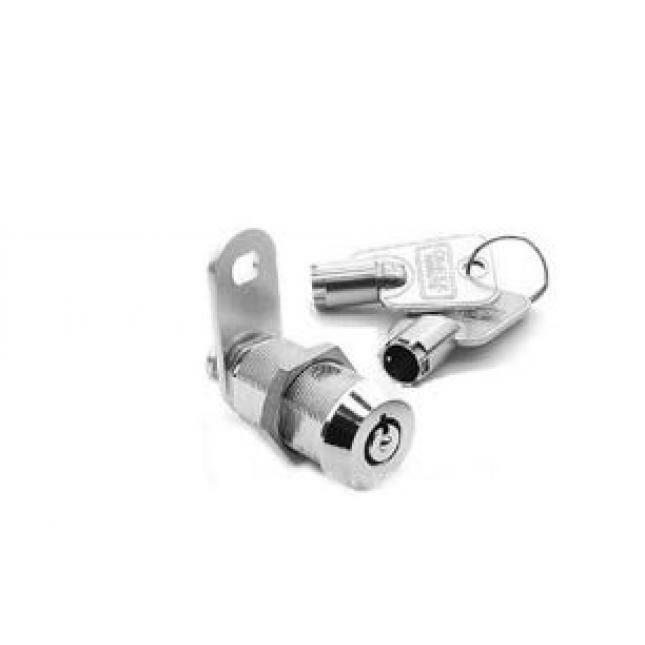 Key supplied.